“In the Equestrian Industry I have long accepted back problem and pain as an occupational hazard; however sometimes this becomes prohibitive. I have visited many professionals with different practices and techniques in an attempt to alleviate it, but had never met anyone that has worked quite as well for me as Michelle. Not only does she deal with the obvious pain, but also facilitates a general sense of well-being and increased energy as a result. Apart from the obvious potential for falls, horse riders can suffer from a number of musculoskeletal issues due to the sustained postures and repetitive movements associated with riding. Mechanical limitations of the body can play an important role in limiting the rider’s ability to perform at their best. There can be other factors to consider too, such as the shape and gait of the horse, and whether the design of a saddle is compatible with the shape of the rider’s pelvis. If the horse has any underlying patterns of tightness or dysfunction, this can have a significant effect on the musculoskeletal balance in the rider too, and vica versa. Addressing both the horse and rider’s problems at the same time helps to break the self-perpetuating circle of dysfunction that sometimes develops. Different strain patterns tend to be put through the rider’s body depending upon the level of riding that they participate at, and their chosen discipline. For example, dressage and show jumping require quite different riding postures, which tend to result in different aberrant muscle and joint patterns manifesting as pain or reduced performance. An understanding of all these elements can enable horse riding issues to be considered and dealt with in a holistic way. Michelle Carrington is an experienced rider, and enjoys working with horse riders of all abilities to help them optimise their riding performance. Michelle is sufficiently familiar with most aspects of riding to be able to understand the problems that riders present with, and to analyse them in the context of the rider’s biomechanics, riding activities, and horses ridden. 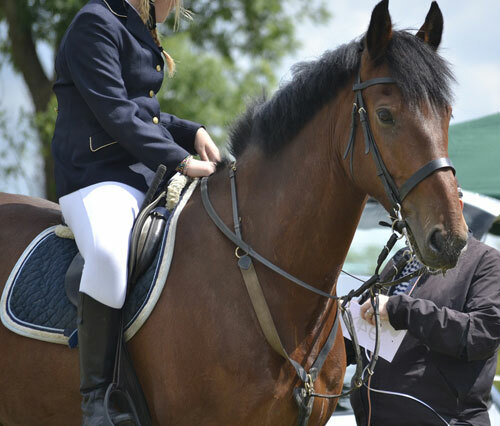 Michelle has experience of working with riding instructors to help assess the extent to which riding faults are due to biomechanical limitations of the rider, versus the extent to which they are due to poor technique. She enjoys helping beginners to develop the strength, flexibility and co-ordination required to ride effectively, and adults returning to riding after many years break to ease their bodies back into the saddle. Michelle also enjoys working with keen amateurs and professional riders in all disciplines to keep them injury free and able to competing at their best.